Tanda is excited to announce an integration with innovative API integration company, Doshii. Doshii’s API, which connects apps with POS in real-time, allows Tanda customers to harness their data through a single integration and gain immediate insights so they can manage their businesses better. Tanda’s cloud-based workforce success software offers strong employee onboarding, payroll, and rostering features. It also gives powerful real-time insights that help businesses track the correlation between sales and labour. Through their extensive partnerships and experience in the hospitality and retail industries, Doshii helps Tanda clients predict exactly how many staff they need at any time. Doshii collates all workplace data in one place and eliminate human error in rostering. The Tanda-Doshii partnership automates admin tasks so owners and managers have time to focus on their business instead of spending countless frustrating hours dealing with rosters and payroll. This is particularly valuable in the retail and hospitality industries, as business managers can compare expected to actual figures as the day progresses – allowing them to make on-the-spot scheduling adjustments as needed. In the future, reservation data could be used to monitor staffing levels and notify a venue manager of dates with low staff allocation and high bookings. Dan Etiel, Tanda CMO, says, “Tanda’s integration with Doshii offers customers a wide range of integrations that allow them to utilise their data to grow their business. “By connecting Tanda and Doshii, customers get real-time sales data which allows them to optimise their business operations live throughout the day by making data-driven decisions. This level of insight has not been available before and is a significant step forward for real-time business intelligence.” Doshii GM, Greg Williams, explains that “having live data allows customers to control their business and fine-tune their operation as the day unfolds, instead of having to try and correct events after the fact when it’s too late to remedy.” Tanda’s platform allows business managers to build a detailed roster based on locations and teams in minutes using its simple online rostering tool. This is then shared with staff via email or SMS, who clock in and out of shifts on the fly using Tanda’s Time Clock App. Automated timesheets are then updated in Tanda and its seamless integration with payroll ensures staff are paid correctly, in half the usual time. Tanda’s full platform for Workforce Success includes: Customisable employee onboarding One-touch intelligent rostering with 5-point compliance check Time and attendance with facial detection Leave management Compliant Award interpretation for over 35 industry awards and the ability to build in EBA’s on request Payroll integrations with all top payroll solutions A mobile solution for employees to view rosters, apply for leave and offer to fill vacant shifts. Simplify your staff management and make more informed business decisions based on demand data with Tanda. To find out more, email info@tanda.co, ring 1 300 859 117, or send us a message. Have you streamlined the process for onboarding new employees? We’ve added an online paperless employee onboarding feature which is completely automated to our platform. This new feature is completely customisable, and integrates with your existing software. Check out the online demo here, where you can test drive this onboarding feature online – no sign up required! Tanda is excited to announce an integration with innovative API integration company, Doshii. 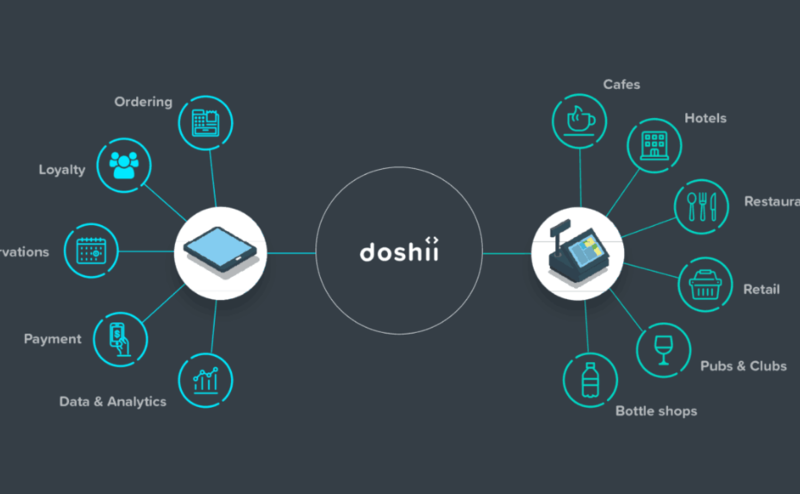 Doshii’s API, which connects apps with POS in real-time, allows Tanda customers to harness their data through a single integration and gain immediate insights so they can manage their businesses better. Tanda’s cloud-based workforce success software offers strong employee onboarding, payroll, and rostering features. It also gives powerful real-time insights that help businesses track the correlation between sales and labour. Through their extensive partnerships and experience in the hospitality and retail industries, Doshii helps Tanda clients predict exactly how many staff they need at any time. Doshii collates all workplace data in one place and eliminate human error in rostering. The Tanda-Doshii partnership automates admin tasks so owners and managers have time to focus on their business instead of spending countless frustrating hours dealing with rosters and payroll. This is particularly valuable in the retail and hospitality industries, as business managers can compare expected to actual figures as the day progresses – allowing them to make on-the-spot scheduling adjustments as needed. In the future, reservation data could be used to monitor staffing levels and notify a venue manager of dates with low staff allocation and high bookings. Dan Etiel, Tanda CMO, says, “Tanda’s integration with Doshii offers customers a wide range of integrations that allow them to utilise their data to grow their business. Tanda’s platform allows business managers to build a detailed roster based on locations and teams in minutes using its simple online rostering tool. This is then shared with staff via email or SMS, who clock in and out of shifts on the fly using Tanda’s Time Clock App. Automated timesheets are then updated in Tanda and its seamless integration with payroll ensures staff are paid correctly, in half the usual time. A mobile solution for employees to view rosters, apply for leave and offer to fill vacant shifts. Simplify your staff management and make more informed business decisions based on demand data with Tanda. To find out more, email info@tanda.co, ring 1 300 859 117, or send us a message. Have you streamlined the process for onboarding new employees? We’ve added an online paperless employee onboarding feature which is completely automated to our platform. This new feature is completely customisable, and integrates with your existing software. Check out the online demo here, where you can test drive this onboarding feature online – no sign up required! Monic is Tanda's content curator. She uses her background in Development Studies to create materials that are both business-oriented and human-centric.